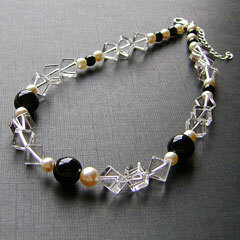 Rockshocks - unusual 'edgy' gemstones, but these are in a ladylike black and white design, to whisk you from day to evening. 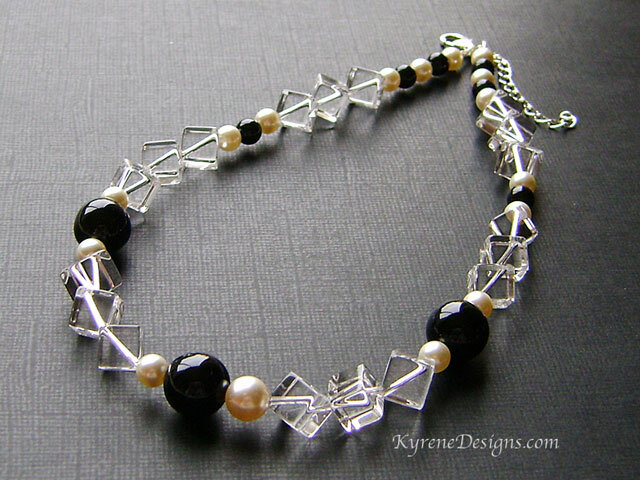 High grade rock crystal diagonal cubes are teamed with black agate and Swarovski Element TM pearls. Length: 17 inches. Gemstones; 6mm, 10mm 12mm. Sterling silver hook clasp, plus 2" extender.